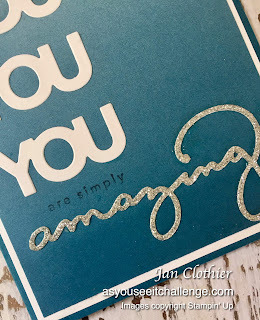 Welcome to the final challenge of the year at As You See It. 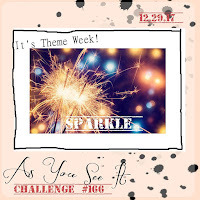 We finish up on a theme challenge, with lots of possibilities: Sparkle. 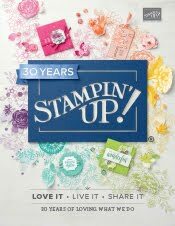 My 'sparkle' is in the glimmer paper and in the hope a sparkle in the eye of the recipient. 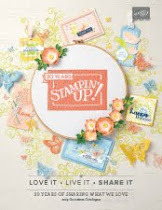 The stars of the show in this card are the amazing Celebrate You thinlits from Stampin' Up's Saleabration catalogue. The Amazing You stamp set is a standard Saleabration item, available free with any $110 spent. The gorgeous thinits are a special item - available free with any $220 purchase - and even better, they will be available for purchase in the next Annual Catalogue. 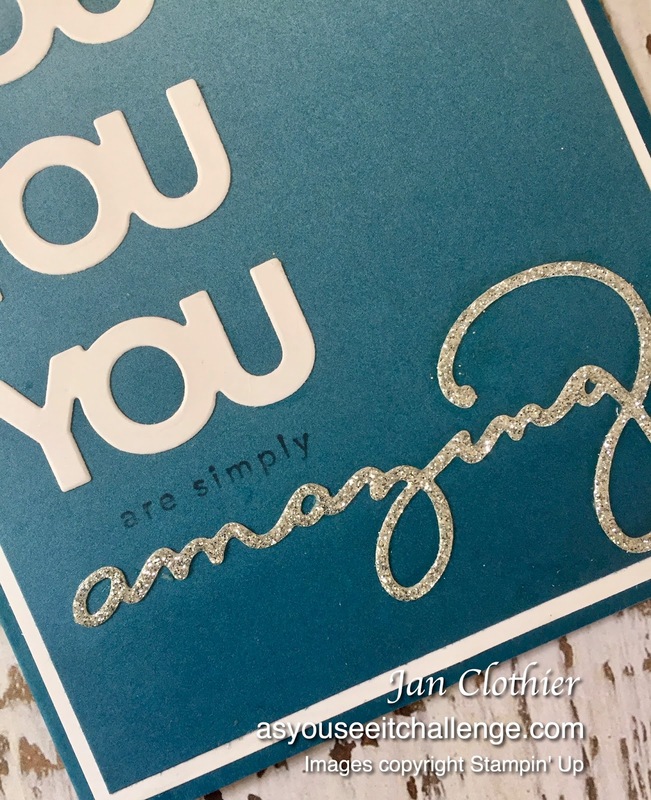 The 'You' and 'amazing' are part of the set - there's also 'celebrate' in another font. 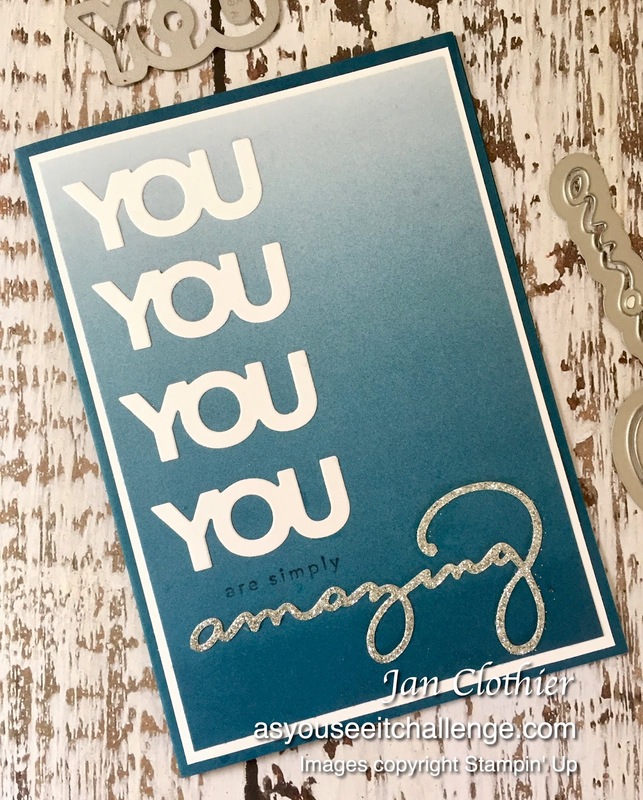 The double sided adhesive sheets make adhering the die cut words so easy. You have until Wednesday 10 January, 11.55 p.m. PST to join us. 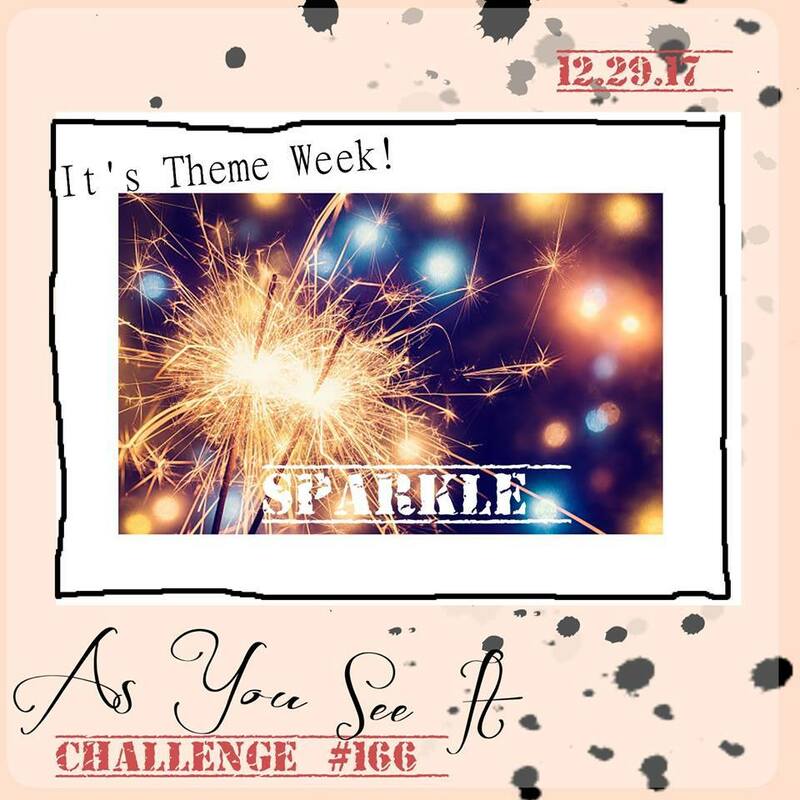 We'd love to see how you see this challenge!